This is an isolated 16-channel 5 volt relay module. The output rating for each relay is 230 volts 10 Ampere or 10 ampere at 30 volt DC. 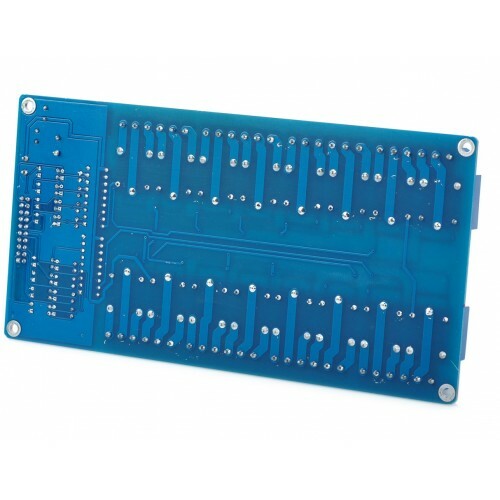 Since each relay is provided with independent common terminal along with Normally Open (NO) and Normally Closed (NC) pins it is very easy to use. Each trigger pin is isolated from the relay using a opto-coupler thus making sure your circuit is save no matter what. 16 LED indicators are provided to display the individual Relay Status. 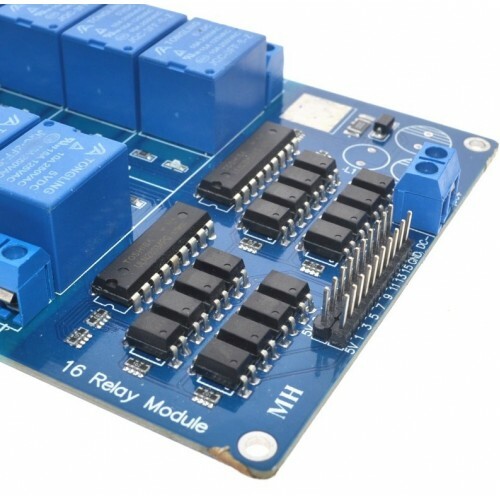 The relays can be controlled directly by a wide range of microcontrollers such as Arduino , 8051, AVR, PIC, PLC,DSP, ARM, ARM, MSP430, TTL logic circuits, etc. 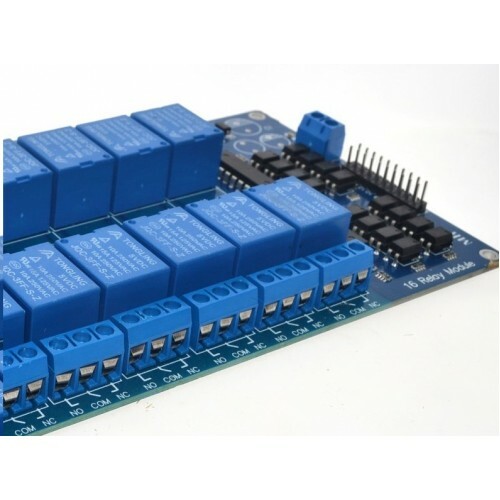 Isolated 12 VOLT 16-CHANNEL RELAY MODULEThis is an isolated 16-channel 12 volt relay module. The out..